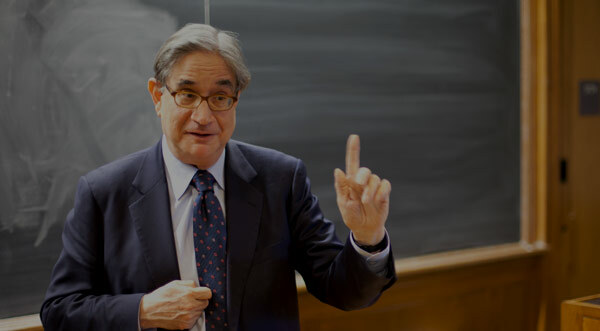 In this lecture, Professor Freedman introduces Islam. He begins with a discussion of its geographical context: the dry desert lands of the Arabian peninsula. The Bedouins, or nomadic Arabs of the region, lived in a tribal society somewhat similar to the Germanic tribes discussed earlier in the course. Their raids against the Byzantine and the Persian Empire, for lack of strong opposition, would lead to the Arab conquests. The second half of the lecture focuses on the life of Mohammed (570/580 – 632) and the early years of Islam. Mohammed’s revelation was one of the unity of God and a progressive interpretation of God’s prophets, with Mohammed as the last of these. Early Islam was slow to differentiate itself for Christianity and Judaism, though this process accelerated after Mohammed’s flight to Medina in 622. Professor Freedman ends with a discussion of the tenets of Islam and anticipates the discussion of the Arab conquests in the next lecture. Professor Paul Freedman: Now we’re going to talk about Islam. And here we enter into a segment that, in a sense, is the most relevant, if relevance is a criterion, sort of is, to today’s world. Because these controversies that play out today–Shiism versus Sunni, for example, the nature of Islam, its appeal as a religion on a world scale–are obviously established in the period that we’re talking about. They were established slowly. One of the things that you’ll have noticed from the assignment is that the author, Berkey, emphasizes very much that Islam is slow in formation, that it’s not fully grown as this militant movement with a set of rules in 632, the year that Mohammed dies. And because of that, then, it’s not to be understood as some militant, conversion-oriented, jihado-centric religion from the start. I said at one point when we were summarizing the end of the Roman Empire that there were three heirs to the Roman Empire. One was the Church–ironic because, of course, the Church had grown up persecuted by the Empire. The other was the Byzantine Empire, the Eastern Roman Empire. Remember that it called itself simply “the Roman Empire.” So that’s the most clear claim being staked to succession to the Roman Empire. And that the third was Islam. And a couple of you said, well Islam, that’s the most surprising of all, actually. And I didn’t really elaborate at that time. And that’s not the center of what we’re going to be talking about. Because time moves on. We’re in the seventh century, the collapse of the Roman Empire in the west is established two and a half, two centuries earlier. But Islam, although developed in Arabia, outside of the Roman empire, and although very strong in places like Persia or the western part of India, would in many respects take up the inheritance of the Roman and Byzantine Empires. The conquests on the Mediterranean, in the east, and in the south; its architectural and artistic style; its administrative structure; and not least, the translation and elaborations of Greek science, medicine, and other academic forms, including, for example, the translation of Aristotle and the influence of Aristotle would be signs of, evidence of the significance of Islam within–it’s pointless to debate whether it’s the Western tradition or what the Western tradition means–but within the classical legacy, within what it means to say that Rome as a polity ceased to exist in the west and yet the classical world has continued to influence society and ideas to this day. So in talking about the history of Islam, one is inevitably going to be emphasizing its revolutionary nature. And so I’m going to go against the reading in some sense. Or the reading is intended to go against the conventional way of presenting the early history of Islam. And that can be sometimes annoying. The writer is cautioning you against views you never had. Or the writer keeps on saying, “Well, we should not think that this”–and I hadn’t thought that. Just tell me what you think happened in early Islam. My apologies for that. Writers are always writing against other writers. Scholars are always writing against a prevailing interpretation. Berkey is a continuist, and that is the scholarly consensus now, arguing against this notion of Islam bursting forth like some kind of pent-up explosion in Arabia. But Arabia is off the map. Islam as a movement, and certainly the Arab conquests, are unpredictable events. They may be understandable later in terms of developments in the Near East, both religious and cultural, but up until the seventh century Arabia was on the periphery of the two great controlling empires to its north, namely Persia and Rome. And we are taking Byzantium as the heir of Rome in this sense. Now, Isaiah actually grew up in what most of us would consider to be pretty dry circumstances. The eastern Mediterranean, modern-day Israel, Lebanon, Syria are hot and dry compared to bounteous climes like New Haven. So the Eastern Mediterranean, however, is a land of fertile oases, river valleys like the famed Tigris/Euphrates/Fertile Crescent area, coastal cities with commerce, whereas Arabia is essentially a vast expanse of barely habitable terrain. It is isolated by the sea on three sides. It has very few natural harbors. There are no lakes, no forests, no grasslands, even, and no rivers that run year-round. The only intrinsically favorable part of it is the southwest corner, modern Yemen. This was in the ancient world, or at least to the Roman geographers, “Arabia Felix,” Happy Arabia. Nice Arabia. And indeed, there were two kingdoms that emerged here around 1000 BC. Harbors, oases, and these two kingdoms controlled the spice and incense trade from India and from the Horn of Africa. These are two extremely valuable kinds of products for religious, gastronomic, and medicinal purposes. And most of the spices come from India. And most of the incense comes from modern Somalia, Ethiopia, places along the Red Sea. By the time of Mohammed, however, southern Arabia’s best days had passed. And Mohammed is, of course, from central, and in the sense of its orientation, really, northern Arabia. The worst desert in Arabia is the south. So just when you get out of Yemen going northeast you come to an area that still bears the not really encouraging name, the Empty Quarter. This is really serious, no-oases desert. Further north, however, in places like Mecca or Medina, there is enough water for settlement, though not enough for agriculture. A key event in the history of Arabia is the domestication of the camel, which can be situated around 1000 BC. Arabia, outside of the Yemenite kingdoms, was mostly nomadic, though there were trading cities of which the most famous are Mecca and Medina. These cities were rather cosmopolitan. They had Arabs and other peoples. They had Christians, some of whom were Arabs, some of whom were not, and Jews, many of whom were also Arabs. They controlled overland trade, again, from further east, bearing exotic products like spices from India, organizing caravans. At times they would form kingdoms, at times there would be Arab kingdoms in the north, but generally these are feuding societies organized along tribal lines. Looked at from the Roman or Persian empire, Arabia was a little bit like the forests of Germany: a hostile terrain–from the Roman point of view, Persian point of view–inhabited by useful but presumably barbarian and presumably not very interesting people. This is the point of view of the Bible as well. They are primitive people bearing interesting products, inhabiting a land that’s not worth having. Not worth invading, not worth owning, not worth dealing with. The first mention of Arabs seems to be 854 BC when, according to a Syrian inscription, a certain Gindibu, the Arab, contributed 1,000 camels to forces revolting against the Assyrians. The Arabs, henceforth, after 854 mentioned often in Babylonian and Persian texts. They’re always frontiersmen or people inhabiting a land beyond a frontier. Not all Arabs are nomads, but the Bedouin, Bedouin in this sense meaning Arab nomad, is sort of the Ur Arab, the original Arab, the defining archetype and the original colloquial meaning of the word Arab. In a way the Bedouins are a little like the Germanic tribes, an analogy I’ll mention but I don’t want to push too hard. They form extended kinship units, that is to say they know who their second cousins are and care about them. And these extended kinship units form a kind of tribal structure. This notion of tribe remains important to this day. You’ll have seen, in accounts of post-Qaddafi Libya, for example, the cliché, and probably accurate, is there is no tradition of government. Qaddafi didn’t govern, he just tyrannized. And there are no civil institutions. It is divided by tribal loyalties. What does tribe mean in that? I actually don’t know in terms of Libya. It is a way of saying the people do not have loyalty to the state, but to some extended kinship group, or what’s sometimes called “fictive kinship group.” I’m not really related to you, but we have either the same name or we’re from the same place or we consider each other kin and therefore have a certain protective sense about each other. This is very useful if you don’t have a government. We’ve already spoken about this in terms of our question of what held Merovingian society together. Your second cousin becomes important to you if there’s no police force, if there’s no way of making sure that someone is not going to kill you just for fun or because they got angry at you. Under the circumstances we live in, we don’t care about our second cousins. We don’t know who they are. We don’t expect anything from them. In a society in which family is not just a sentimental attachment, but it actually is what is protecting your life, kinship is very important. Bedouins as well as Germans, then. The problem with kinship is that while it’s a very solid attachment, it’s also an irritant. And here we’re not talking about arguments over whose Christmas is better or who gets the Venetian glass vase after Mom and Dad’s death, we’re talking about terrible arguments, feuds that are within a kinship group. So you have feuds within the kin groups or tribes, and feuds between tribes, accentuated in this case often by water. Water, a scarce resource, obviously, and one that people fight about a lot in terms of territorial feuds. So the Bedouins tend to have more feuds than the Germans. There’s no Bedouin equivalent of wergild. Remember, the wergild is the price that you have to pay to make someone have peace with you, even if you’ve killed their relatives. It’s the worth of a person. It’s compensation. And then other people can be assessed on the basis of some tariff. So women may be 2/3 of a man, a pregnant woman may be one and a half times a man, and so forth. We saw this in the Burgundian Code. Key to the Burgundian Code is this notion of compensation, that money related to the nature of the loss. One finger, two fingers, right hand, left hand, is compensation. Bedouin don’t have that idea of compensation, of tariffs, of wergild. In both the Bedouin and the German societies, the ruler has a limited amount of power. These are, I wouldn’t want to say democratic societies in terms of some theory of representation, but they’re not societies in which one person’s will is obeyed unquestionably. They are consultative. They are more like gangs in that sense. There’s a leader, but his control is conditional on the loyalty of his most powerful subordinates. And his most powerful subordinates are quite capable of overthrowing him. The Bedouin sheik is a little different from the Germanic king. And by Germanic king I mean not the kings that we’ve seen in the settled post-Roman, Merovingian empire, but the kings as described by Tacitus with possible greater or lesser accuracy. In the Germanic tradition, the king is a war leader. In the Bedouin tradition, the sheik is an arbiter, a settler of disputes. Both societies exalted custom, and both had an exacting standard of masculinity. The Germans practiced agriculture and herded animals. The Bedouins don’t have agriculture, and they supplement their herding of animals by raids on wealthier society. These raids, called “razzia,” are important because the Islamic conquests that we’re going to be talking about on Wednesday may be said to begin as raids. They begin as raids, and then they discover that there’s almost nobody there. That the Byzantine army and the Persian army are crippled by fighting against each other. So what begins by raids becomes conquests. So we come to Mohammed. At first glance it would seem that Mohammed is a religious leader whose career takes place in what a French scholar of religion called “the full light of history.” 620s AD may not seem like the full light of history, but Mohammed as a historical figure at least seems to emerge more clearly than Abraham or Moses or Jesus. But, as you have read, Mohammed’s biography is hopelessly entwined with legend. What we know about Mohammed is what later Islamic and Arab commentators wanted to have happened to Mohammed. There are several sources for the life of Mohammed, and for thus the early years of Islam. There are formal biographies, called sira, S-I-R-A. The problem with these is they were written long after Mohammed’s death–a hundred years, at least. There are collections of oral tradition, called hadith, H-A-D-I-T-H, to which, similarly, there are sayings, proverbs. These are also questionable, because although they were put together within fifty years of Mohammed’s death, they’re very heavily influenced by the first civil war of the 650s, which we will be talking about the day after tomorrow. And then there’s the Koran, which is supposed to represent the words of Mohammed as composed by divine inspiration. The Koran itself is a text that scholars outside of the Islamic tradition have questioned in terms of when it was put together, how much by Mohammed, how soon after Mohammed. The problem with all these sources is not that they are unreliable in the sense of fabrication, but that they tend to shape events in light of what the writers already know happens and in light of what they think should happen. So that, as an example, we’ll be talking about this in a moment, but you’re all aware that in 622 Mohammed moves suddenly from Mecca to Medina. He maybe can be said to flee Mecca. This is called the Hegira, or Hijra in the Berkey book. H-E-G-I-R-A or H-I-J-R-A, depending on just how faithful you think you’re being to the Arab original. The Hegira is a key event in Islamic history. It is the point from which Islamic dating is done. That is to say the Islamic calendar starts with the Hegira. So this year is the year of the Hegira such and such. I can’t do 2011 minus 622 immediately, but that’s the Islamic year. According to the traditional historical record, the Meccans tried to assassinate Mohammed, and he escaped, narrowly, this attempt. There’s no real evidence of this degree of hostility on the part of people in Mecca. There’s no evidence of an assassination attempt, or at least independent evidence. And the assassination attempt seems to be something that is important for the story, for the way that the story is presented later, to dramatize something that may not have been at the time as dramatic as it seemed. It may have been that the Meccans simply didn’t listen to Mohammed and then he accepted an invitation to Medina. It may be that they were trying to sort of shut his movement down. But that they resorted to assassination does not seem to be very likely. OK, so having given you all of these fatiguing caveats about what we do and do not know, let’s say Mohammed was born between 570 and 580. He was born into a reasonably prominent but not really very affluent family of Mecca. He may have been a merchant. It is usually assumed he was, and this is partly because the Koran has a lot of mercantile similes. In order to elucidate various points, comparison is made with trade, but there’s no real evidence. We don’t really know what he did for a living. We know that he married well. His first wife, Khadija, K-H-A-D-I-J-A, was from a wealthy family, a higher class family than Mohammed’s own. And we also know that Mohammed got his start as a religious thinker, as a prophet, at the age of forty, an encouragement to those of us who are slow to get our careers off the ground. The discouraging part is that his career only lasts a relatively brief time. He dies ten years after the Hegira, but he does accomplish an awful lot. What was his religious experience? What was the revelation vouchsafed to him that he preached to the citizens of Mecca beginning around 615 to 620? It is certainly a message of monotheism against what was considered to be a prevailing paganism, or polytheism on the part of the merchants and tribesmen of Arabia. But as we’ve said, Arabia had lots of Jews and Christians as well. And it’s a little tricky to tell how much Mohammed would have known about Judaism and Christianity. But it looks as if he did. And indeed, it looks as if his preaching begins as a kind of biblical monotheism for the Arabs. It is a message to the Arabs congruent with the message of Judaism and Christianity, the message of Judaism and Christianity being understood as a statement of the unity of God and a progressive interpretation of God’s message by a series of prophets, a series of prophets beginning with Abraham, including Moses, Isaiah, Jesus, according to Islam, and Mohammed. Mohammed is then in the line of prophets. The degree to which this means that Islam takes on its own identity is hard to say. And the tendency of scholars outside of the Islamic tradition, that is people like Berkey, is to say it takes quite a while. Takes quite a while for there to be the confidence that Islam is a religion that is different from Judaism and Christianity, while it is clear from the start that the people who are embracing it are different, even though there are Arab and Jewish Christians, and we’ll see what that means in a moment. Mohammed’s first converts are his family circle and a group of key friends. And they’re all important historically. His wife, his cousin Ali, who would marry his daughter Fatima, a merchant named Abu Bakr, a powerful member of one of the leading clans or family groups of Mecca, Uthman, sometimes spelled–I think in the Berkey book spelled with a U, so we’ll use the U.
Uthman, right, Ali, I’ve mentioned, Abu Bakr. Uthman is a member of the Umayyad family. And Omar. These are sort of considered to be the inner circle of very, very early converts. As I said, according to tradition the ruling circles of Mecca became fearful as what had been a fringe movement started to gain more converts. The people who ruled Mecca feared that their control was slipping from their grasp, and they feared that this new movement was popular with a lower class. The leading clan of Mecca were the Quraish. These are the people who are most powerful in Mecca and begin as the enemies of Mohammed and are responsible for driving him out, if indeed he was driven out. In 622 the city of Medina, another merchant center, invited Mohammed to come as a kind of arbiter or ruler who was above factions and who could then settle their internecine disputes. This is not an uncommon pattern. You’ll see it in late medieval and Renaissance Italy, in fact. The podestà in Italian cities is an outsider who is empowered with very extensive police powers to quell feuds. In Romeo and Juliet, for example, there’s a podestà, but he’s not able to solve the feud. But that’s the kind of scene that we can imagine as the western equivalent of Medina. Muhammad is invited as a wise man, as an arbiter, as a reconciler to the city of Medina, an offer that he accepts. And it is in Medina that we really start to see emerge what can be called an Islamic identity. I tend to think a little bit earlier than Berkey, because here Islam starts to differentiate itself from Judaism and Christianity. And indeed, the period at Medina culminates with the expulsion of Jewish groups who refuse to accept Mohammed. What he does at Medina also is to preach that the religious loyalty is more important than loyalty to the tribal group. The religious loyalty therefore is not simply a accompaniment to your already existing identity; it is the most important aspect of your identity. It’s at Medina that Mecca replaces Jerusalem as the point of orientation for prayer. It’s at Medina that Mohammed stopped celebrating Yom Kippur and institutes a month-long fast during the daylight hours, Ramadan. At Medina, Friday becomes the Sabbath, not Saturday or Sunday. And the Jews are expelled from Medina. And by Jews I don’t mean some kind of foreign community of non-Arabs who happen to be living in Medina, but rather Jews, some of whom came from elsewhere, many of whom were Arabs. And it’s also here that Mohammed perfects this notion as against the Christians and Jews who have scorned him that he is the Seal of the Prophets, the last of the prophets. From Abraham to Jesus, now to Mohammad. This is the last prophecy. God’s message has not been packaged into one deal, one file too large for one email attachment. And it’s come in a bunch of them, and this is it. Here are all the cute cat pictures and all of the– the whole file, which you now can download in segments. But it’s over. This is it. The Jews and Christians are wrong to think that either it ended with Elijah or that the be all and end all of all prophecy was Jesus. No. No. This is the truth. But keep in mind that Islam did, and at least is supposed to, respect Judaism and Christianity as not merely precursors, but as part of the same tradition. “People of the Book” is the term often used in Islam to describe Judaism and Christianity. They share the same, if not scripture exactly, but the same kind of historical religious orientation. The criticism that Islam can make against Christianity is that it tends to be polytheistic. And as you know, Islam expands great care to make sure that the human form does not appear in art. And in some forms of Islamic art that not even animals appear. Depiction of the human figure is proscribed. Great care is made in differentiating Mohammed from what Muslims see as the exaggerated stature of Jesus. Mohammed is a prophet. He is a messenger of Allah, not to be identified with Allah himself. There is no depiction of Mohammed. People do not have pictures of him in their houses. There are no statues to him. Mohammed’s greatest challenge was to overcome these tribal loyalties in favor of the umma, U-M-M-A, the community of the faithful. He allowed property and marriage to be decided still by tribal tradition, but prohibited feuds and required that disputes be arbitrated in religious courts. This is important. Because Mohammed, like the rabbis of the Diaspora in Judaism, is both a religious leader and a judge. He is a community leader and a spiritual leader. And indeed, these two things are not really distinguished. I emphasize this because it’s really different from Christianity. In Christianity, there’s a church and there’s a legal, secular state. Sometimes, and of course the Middle Ages to some extent defined by this, the Church will have what look like secular powers. We’ve talked about this with regard to the bishops and Gregory of Tours. At times the papacy, later, would claim all sorts of political powers. But conceptually in Christianity, because Christianity was an illegal religious brotherhood within the Roman Empire for over two centuries, church and state are different. In Islam, one can’t really talk about church or clergy. There are religious leaders who have political authority, but their authority is what we would call that of a judge and that of a religious leader at the same time. The political order and the religious community are the same. That’s why when we talk about the Arab conquest or the Islamic conquest, we’re talking about something in which the new territories are taken over by a state that’s not a theocracy in the sense of the church’s ruling the state, but something in which the church and state are not to be distinguished. We’ll talk about this more when we come to the conquests. Within two years of the Hegira, 622, so by 624 Mohammed was planning to take over Mecca, to re-enter in triumph the city that he had fled, if not under cover of darkness at least under murky circumstances. A victory in battle in 624 gave Mohammed the confidence to expel Jews and Christians from Medina and to take on this title of Seal of the Prophets. And by 627 Medina gained the upper hand, and in 630 Mecca fell to Mohammed and his forces. And all of the tribes of Mecca and of the surrounding areas submitted to Mohammed. They recognized him as a political as well as religious leader. Again, the two things not easily to be distinguished. And then Mohammed died. In 632 he died, and what is remarkable is that the momentum he established was able to survive his demise. Because most of the tribes probably thought that their loyalty was to him as a prophet and a person, and not to some sort of institution that would survive his death. And indeed, his death would usher in a period of incredibly rapid expansion. Within a few years of Mohammed’s death, Damascus, the great city of the eastern Mediterranean, Byzantine Damascus, would fall to the Arabs, the first of many such conquests that we will be marching through on Wednesday. But this question of religious loyalty would be exacerbated by splits within Islam, which we’ll also be describing. The tenets of Islam, just to close by way of our last remarks for the day. Islam means “surrender.” And to surrender oneself to the power of Allah is the beginning of wisdom, beginning of faith. Acknowledgement of Allah is acknowledgement a strict monotheism, acknowledgement of Mohammed as the messenger prophet of Allah, and as the last prophet. The so-called “five pillars of Islam” are duties incumbent on the believer. And these are the confession of faith that I just mentioned, daily prayers, five times a day, the giving of alms, the observance of Ramadan, and the performance of the pilgrimage to Mecca if that’s possible. What’s not there is interesting, too. What’s not intrinsic to Islam is a strong sense of sin. The Arabs do not like the Confessions of Saint Augustine, are not interested in this particular form of spiritual investigation. The believer can pray directly to Allah. There is really no Islamic clergy in the sense of presiding over sacraments or channels of grace. The mosque is a gathering place; it is not a place that has some kind of powerful holy objects in it, in the sense that a church in this era would have relics or Eucharistic hosts and other very powerful, sacred things. It is a moderate religion, actually. It is a “do-able” religion. These obligations may be somewhat inconvenient at times, Ramadan for example, but there is nothing in here to the degree that the New Testament, for example, proscribes [correction: prescribes] behavior that most people are not going to follow. Or that traditional Judaism, possible but certainly onerous. Lots of obligations. The other difference, more important, with Judaism is that Islam would be very quickly universal. In other words, it would encourage conversion, although not, as we will see, with great enthusiasm. It is completely erroneous to think that these armies that burst forth from Arabia after the death of Mohammed were intent of getting everybody to follow Mohammed. They were intent on conquest, all right. But we’ll see that their goals were a little more complicated than that of orienting everybody towards this new faith, whatever we’re going to call it. And we’ll see more about that the day after tomorrow. Thanks. Berkey, The Formation of Islam, pp. 61-101. Wickham, The Inheritance of Rome, pp. 279-297.